The X-Ray ORT was developed to provide a fair and comparable assessment method to reliably measure the visual abilities of an applicant. Human factors are key issues in X-ray screening. 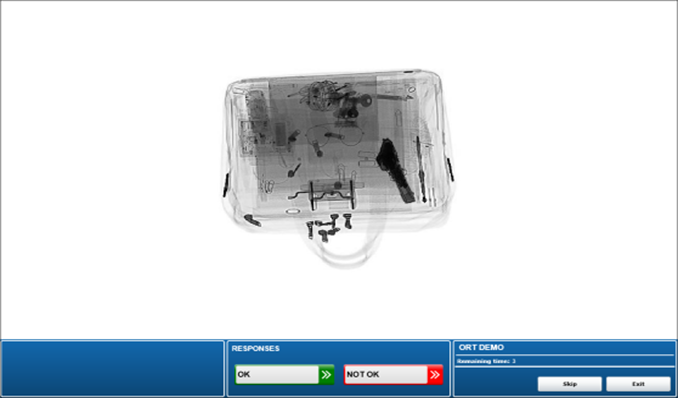 The most expensive X-ray machine is of little value if the security officer who operates it does not have the necessary aptitude and ability to interpret X-ray imagery. Various scientific studies have shown that there are substantial individual differences in visual abilities such as mental rotation, figure ground segregation and visual search abilities which are crucial in X-ray screening. 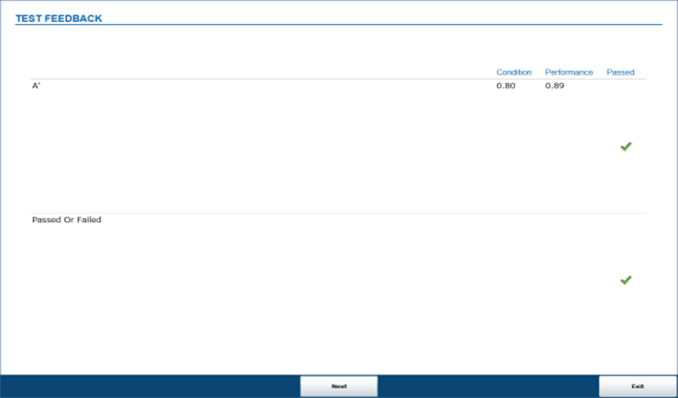 Employees with distinctive visual abilities can learn faster and generally achieve a 20% higher level of threat detection performance in certification tests compared to X-ray operators hired without a previous pre-employment assessment using the X-Ray ORT. Choosing the right person thus helps to minimize training costs while at the same time increasing security and efficiency at the checkpoint. The items selected for this test systematically vary in the level of difficulty, based on bag complexity, superposition and object rotation. These are the image-based factors that highly influence threat detection performance. 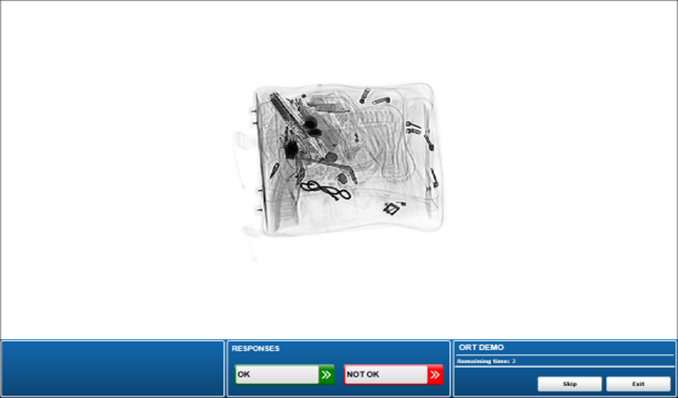 The X-Ray ORT can be applied wherever X-ray machines are used for security reasons, that is at airports, prisons, nuclear power plants, courts, military, event locations, etc. 1. What does the X-Ray ORT measure? 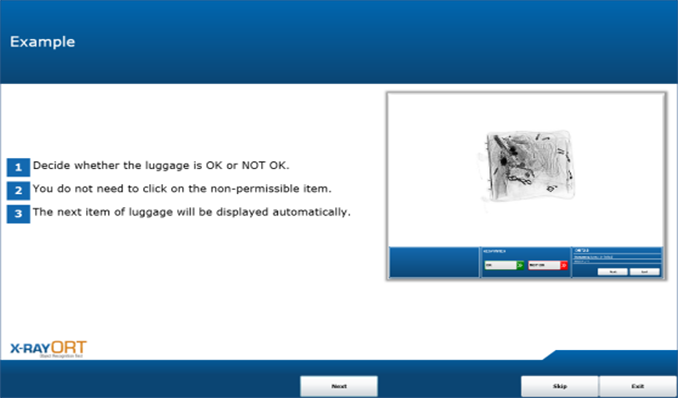 The X-Ray ORT measures the ability to cope with image-based factors, such as mental rotation, figure-ground segregation and visual search which are crucial in x-ray screening. 2. How long does it take to complete the X-Ray ORT? The test takes about 35 to 45 minutes. 3. Why is the X-Ray ORT only in black and white? Because job applicants do not yet know what the different colors mean.